Compressed air is the largest uncontrolled utility at many facilities. 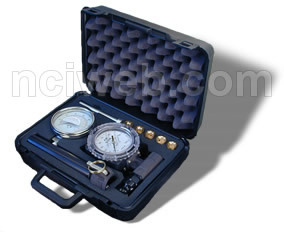 Series 7000 RCM Direct Reading Flo-Gage with 3-1/2" dial with Special aluminum body Flo-Gage for light weight end. Quick change aluminum pipe adapters for ease in installation and range changes. 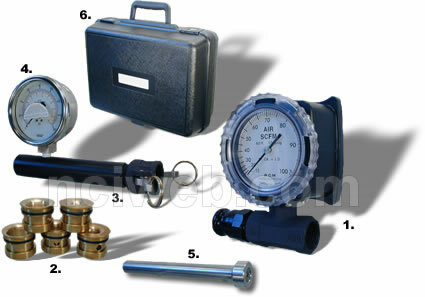 Pipe size 1", 2" or 3"
4" pressure gauge 0 - 160 psig., suitable for field recalibration, accuracy ±1%, F.S.